Spike Chunsoft's intriguing mix of Battle Royale and Ace Attorney debuted in America with one of the best English language adaptations in years. We talked to NIS America's crack team of localizers to find out how they pulled off this nearly impossible task. This year's Danganronpa: Trigger Happy Havoc and Danganronpa 2: Goodbye Despair stand as two the greatest reasons to own a Vita. Though they originally surfaced in Japan during the final years of the PSP, Danganronpa's Vita rerelease gave the series a second chance to finally come stateside. And NIS America certainly jumped on this opportunity, bringing out both games in the series within six months of each other. 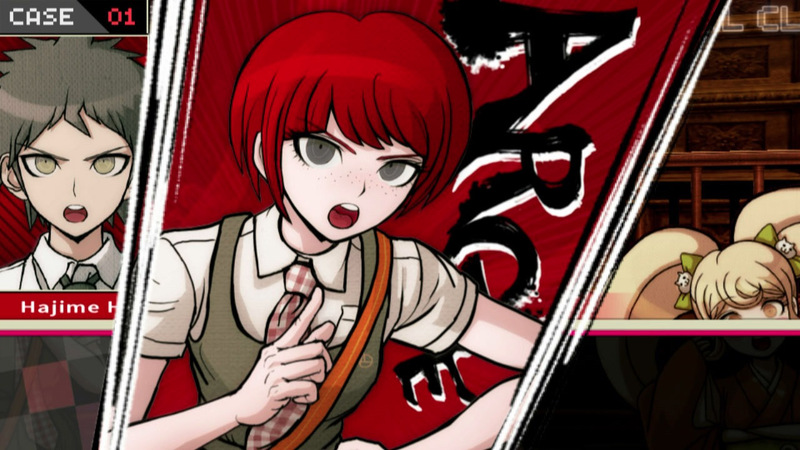 If you've never played a Danganronpa game before, it's a hard series to describe succinctly, though our spoiler-free reviews for each game may be of some assistance. Basically, the premise traps 16 high school students inside a completely isolated location, and with only one way to escape: Kill one of your peers, and then avoid being found guilty at the resulting class trial. It's And Then There Were None meets Persona meets Ace Attorney, with more gut-wrenching cliffhangers than your average season of Breaking Bad. Though its ultra-strange, stylized characters and settings may indicate a completely different kind of experience, the series' sugary anime aesthetic exists to contrast against all of the bloody mayhem within. Of course, these games wouldn't have the same appeal if their writing couldn't support roughly 30 hours' worth of narrative, which is why the English localizations of Danganronpa and its sequel struck me as atypically great. 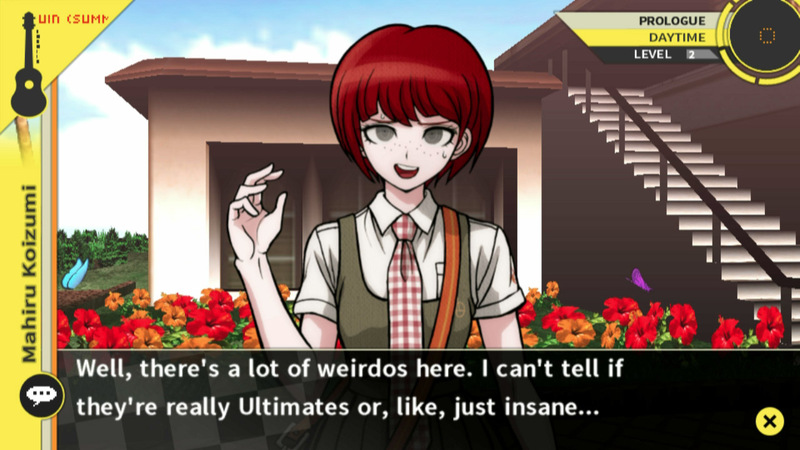 True, we've come to expect good localizations at this point in time, but NIS America's work on these games feels like a real achievement: no line ever feels confusing or written without context, the characters each have their own distinct voices, and the English dub offers the crackling energy Danganronpa needs to sell its unique brand of off-putting weirdness. To find out how the series made such a great transition into English, I spoke with NIS America's localization team about their work on the recently released sequel, Goodbye Despair. 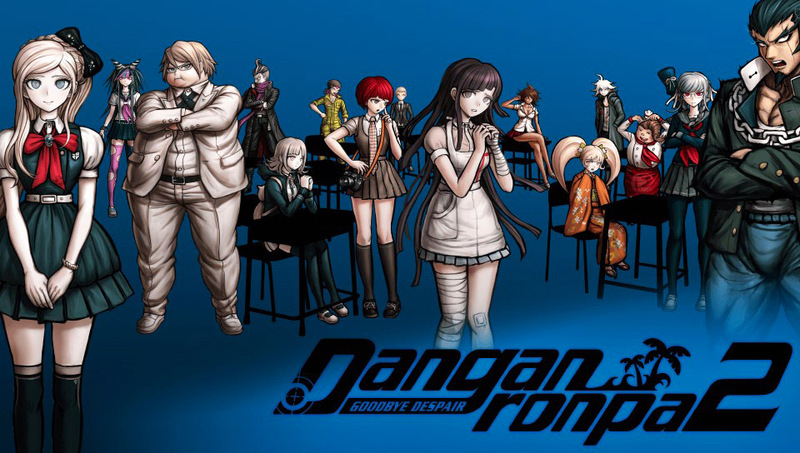 USg: Can you provide details about the scope of Danganronpa 2's localization? How large is it compared to the first game, and other games NIS has localized? Yoko Nishikawa, NIS America Localization Director: It ended up being about 1.5 times more than Danganronpa 1 overall. It was the second to largest title we’ve localized before. USg: What are the challenges of working on these huge, interconnected, narrative-heavy games? How do you break this work down into something that's manageable? Y: Manami Miyawaki (Translator) and Phoenix Spaulding (Editor) worked on Danganronpa 1, and Monica Marume (Translator) and Robert Schiotis (Editor) worked on Danganronpa 2. I don’t necessarily see them as separate teams since we only have one Localization team at NISA. They’re just different pairs within the team working on different titles. At one point or another during the text localization process, the entire team sits down together to go over the dialog text, so everyone gets to familiarize themselves with every title we localize. Of course, it’s still ideal to have the same pair on all the titles in a series, but unfortunately that’s often not possible. What’s most important is to establish a great communication system within the team, so everyone understands the direction and style of a series when it comes to making decisions related to the localization. After the Danganronpa 1 localization was completed, Robert and Monica worked with Phoenix and Manami to go over the materials related to the first title. During the Danganronpa 2 localization, they all kept in close contact to make sure everything stayed consistent. USg: Did the development team of the original Japanese version provide specific requirements for the English localization of Danganronpa 2? Y: They were very flexible in listening to our feedback and suggestions throughout the process. We (NISA) wanted to do the best we could to preserve the property’s brand and character images, while adapting them to suit the Western culture, and the team over at Spike Chunsoft was very accommodating with regard to the creative decisions and requests we made. We were in close contact with the development team throughout the process, and collaborated on a work-around any time an issue popped up. They are such a talented team. A big thank you to them for how successful the localization for this series turned out. USg: Did you have the benefit of being in contact with the original writer, and, if so, how helpful was this connection? Y: We were in direct contact with the producer and assistant producer, who were in direct contact with the original creators of the series, so if there were anything we needed to know, it was answered without a hitch. Even if something seems very minor to the overall content, it could turn out to be a very deliberate decision that was made by the original creators. We are definitely not shy about asking questions when it comes to understanding the original directions, and we believe this is what leads to great localization. USg: Based on my experience, it seems as if Danganronpa 2 is extremely authentic to the original Japanese version--a lot of the references fly right over my head. Were there any particular (spoiler-free) bits you had to change because they were just too unfamiliar, even to a visual novel friendly audience? Monica Marume (Translator, Danganronpa 2): In the original version, the character Sonia Nevermind often used one-liner terms that were “in” during the 80s and 90s in Japan, which was definitely difficult to incorporate in the localized version. We thought the one-liners would be too ambiguous for Western players to understand, but because her character is a Japan-lover, we didn’t want to ruin that no matter what, so we decided to have her use “hip” phrases that are commonly done here in air quotes so it would have a similar feel as the original Sonia, but have her still refer to Japanese dramas and anime that were really popular back in the day. In a way, I think we were successfully able to incorporate both the Japanese and Western culture into one character. USg: Which character gave you the hardest time in terms of figuring out how to localize their "voice?" Robert Schiotis (Script Editor, Danganronpa 2): This may come as a surprise, but looking back I think Fuyuhiko was the hardest to localize, specifically because of his aggressively salty personality. It’s a common trope in fiction to convey his personality type through gratuitous swearing, and it was important to me that I accurately convey Fuyuhiko’s personality without being perceived as overly relying on swear words to accomplish that. So when I began localizing his lines, I dialed back the intensity and frequency of his swear words because I didn’t want those words to overshadow the other aspects of his personality. However, it quickly became clear that dialing back Fuyuhiko’s foul language was softening the edge that made him so distinct compared to the other students, so I went back through his lines and added swears I had removed while also intensifying most of the existing ones. Subsequently, not only did this make him much more consistent with the Japanese portrayal of the character, but it also enabled him to stand out from the rest of the cast through sheer force of personality. USg: If you can disclose this information without giving any spoilers, which segment of the game gave you the hardest time in terms of localization? M: Chapter 4 was definitely the most difficult (and fun) chapter, because I believe it was one of the most text heavy and logic-dependent chapters out of all the chapters. There is also a fun escape room that is incorporated in this chapter, so figuring out a way to have all the puzzles work for the western audience was a bit of a challenge. Thanks to Spike Chunsoft, though, we were able to come up with a way we could work around the puzzle that wouldn’t have first worked if we kept it as the original. USg: What was the mentality behind your voice casting? Were you trying to find someone who matched the Japanese performance, or someone who would best suit the character? M: Our main focus is to always have someone who would best suit the character, but it’s always awesome if they had a similar voice range as well to top it off with that. As for Danganronpa 2, we were lucky to be able to work with exceptionally talented voice actors and actresses, and some of them even sounded similar to the Japanese (e.g. Chiaki and Hiyoko) so that was super exciting. When thinking about the right voices, Robert and I were usually on the same page for what kind of voices we wanted, and we were both super excited that our first choices usually matched when choosing the actors. Y: What Monica said goes back to how important it is for the team to discuss the title and to set a style guide for the series beforehand. Having everyone on the same page about the overall direction and concept of a series really helps when it comes to making important decisions like casting. The people at Bang Zoom! are experts at finding talent that matches exactly what we request and imagine the characters to be, so a big thanks to them too for how successful the Danganronpa series localization came out. USg: Because not all of the dialogue is voiced, it must have been difficult to give your actors enough information to know the context of their spoken lines. Can you talk about this process? Y: This can be said for almost all of the titles we localize. During the recording preparation, we compose detailed descriptions of the characters, including their personalities, relationships, background stories and any important information on the overall story, so that everyone involved in the project will have this information beforehand. We also go through the entire voice script and add direction notes to every single line, so when a VA sees a line, he/she can quickly get an idea of what kind of emotions and inflections to put into their read. The extra steps and time we put into preparing the script allows us to focus on what we have to do during the actual recording sessions, rather than eating up the studio time rewriting and revising the script. During the sessions, alongside an experienced voice director, we help the VAs understand the context, and in order to do this effectively and efficiently, we have to know exactly how each line should be read and be prepared to give feedback quickly. Preparing for a recording project is a lot of work, but we take it very seriously and never take shortcuts. USg: Which character was hardest to cast in terms of voice acting? Did any voice actors eventually voice different characters than the ones they were initially cast as? M: Nagito Komaeda was an especially difficult character because the character himself is very complex in many ways. Because the original games featured the same voice actor for Makoto Naegi and Nagito Komaeda, Robert personally wanted to see if we could do the same in our localized version. Thankfully, the voice actor of Makoto was able to portray Nagito very well, but we weren’t completely sure about it until we got to hear the actor in the recording booth. R: Danganronpa 2 is quite possibly the most thematically realized story I’ve had the pleasure of localizing, so it was important to me that our localization convey those themes with the same passion as the Japanese version. Within the game’s story, Nagito’s twisted view of hope and his talent firmly establishes him as a foil to Makoto. The fact that he and Makoto share a voice actor serves to strengthen that connection between the two characters. I felt it was important that our localization respect the thematic weight behind casting the same actor for both roles by doing the same in our localization. This was somewhat risky on our part, but Monica and I were very pleased with how the performance turned out, and I think the quality of Nagito’s character in the final localized product speaks for itself. If you're interested about knowing more about the Danganronpa series' localization, NIS America will be streaming the first chapter of Goodbye Despair on their Twitch channel on Tuesday, October 21 at 4:00pm PT. Localization editor Monica Marume will be on-hand to answer your questions. 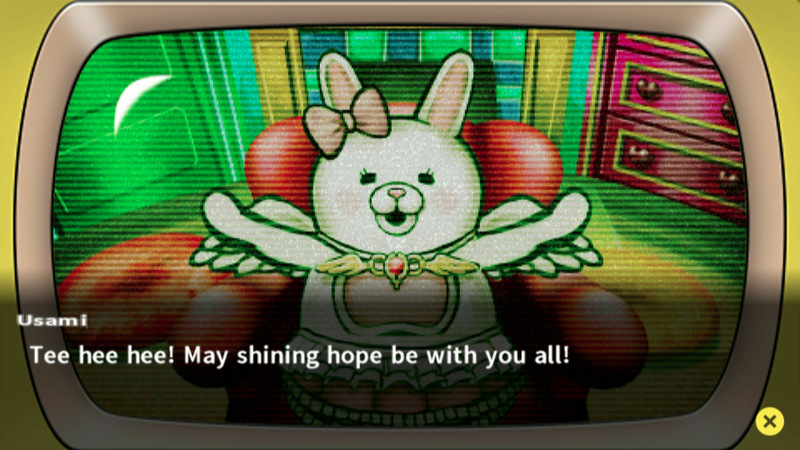 Tagged with Danganronpa 2: Goodbye Despair,	Interviews,	NIS America,	PlayStation Vita,	Visual Novel. Don't let the anime aesthetic fool you—Spike Chunsoft's ambitious sequel contains some of the best writing you'll ever see in a video game.